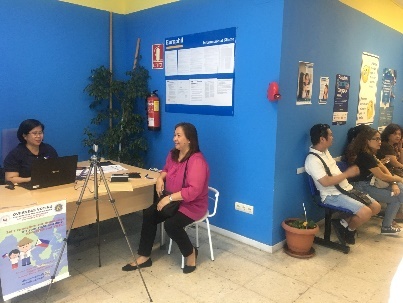 Colonel and Mrs. Harold Anthony F. Pascua PA were assisted by Ms. Maricel Albania and Mr. Ernesto Maitim as the 2016-2018 Overseas Voters´ Registration period in Spain, Andorra and Morocco officially closed on 30 September 2018. The Philippine Embassy in Madrid concluded the overseas voters’ registration on 30 September 2018 with Defense and Armed Forces Attaché Col. Harold Anthony F. Pascua PA and Mrs. Maria Lea Pascua as the last overseas registrants. 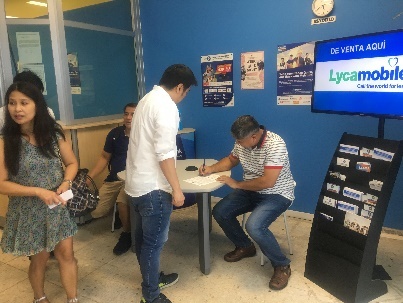 The OV Team held an off-field registration at Metrobank-Europhil Remittance Center in Bravo Murillo, Madrid to bring the registration closer to Filipinos who wish to avail of the opportunity to register as overseas voter during its last day of registration period. The remittance center was among the many venues used by the Embassy for weekend registration. It is frequented by and accessible to Filipinos. Colonel and Mrs. Pascua, who arrived in Madrid early this year, officially ended the registration period as the last registrants. Madrid PE, which covers Spain, Andorra and Morocco for overseas voters´ registration, recorded a total of 13,293 registrants for the 2016-2018 registration period.